Sunspel make modern, everyday, luxury clothing by combining traditional techniques, innovation and modern designs. For over 150 years they have sourced the finest raw materials from around the world and have innovated with fabric structure to create luxury fabrics that are unique to Sunspel. They are continually refining and perfecting our fabrics as well as focusing on the smallest details of design and fit. As a result you don’t notice you are wearing our clothes but you can be absolutely confident that they are luxurious and stylish. Quality 75, is a warp knit cotton fabric developed using expertise from the lace industry based in Long Eaton, Nottingham. It was invented by Peter Hill, the grandson of Sunspel’s founder, who was not impressed by the relatively heavy weight pique cottons used in ‘sports’ polo shirts in the 1950s. 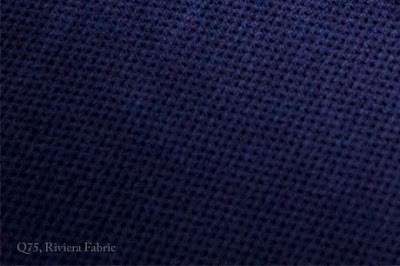 He created a fabric that was soft, lightweight a cool for his trips to the French and Italian Riviera. It is still knitted on lace machines in a unique structure that when washed retains its shape but allows in time for the colour to age and improve its appearance. 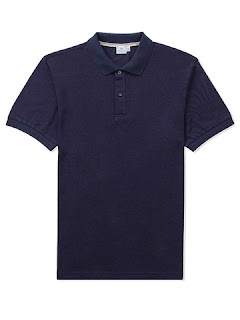 We used it to make our Riviera polo shirts, as worn by Daniel Craig in the latest Bond films. The Sunspel polo is in a class of it's own. As mentioned in the article they really do focus on the fit and feel and has certainly become staple wardrobe piece.